It feels like just a couple of weeks ago, I was telling you about my first ever podcast appearance… oh, yeah, I was! Well, it’s time for my second guest appearance on a show. This time around I joined the 2 Frugal Dudes as a guest on their podcast. 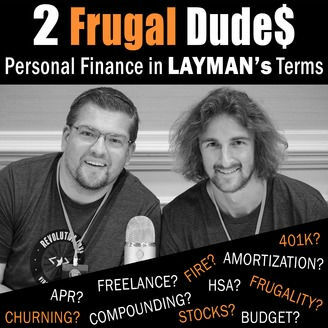 If you’re not familiar, the 2 Frugal Dudes are Sean Merron and Kevin Griffin. 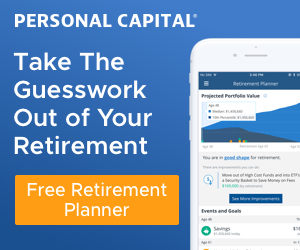 These are two great guys that aim to help their listeners in the personal finance realm. I met Sean at FinCon in 2017 and he graciously invited me to be a part of their show at some point. That some point came and here we are today. This was different from my first podcast in that I had a lot of the questions from 2 Frugal Dudes ahead of time. I’m not sure which way I prefer. On one hand, it’s nice to be able to prepare some notes ahead of time. But on the other hand, I don’t mind just having a spontaneous conversation off-the-cuff like I did for my first podcast with Pete at Do You Even Blog. I’m curious which direction most podcasters go in this aspect. I’m also curious which way podcast guests prefer to be interviewed – cheat sheet or on-the-fly? Regardless, it was a great time and I’m glad they let me be a part of it. Thanks for bringing me on, guys – I appreciate it! It was a lot of fun to participate in! Great to chat with you Jim! It was a lot of fun! Thanks, Sean – I appreciate the opportunity!